What good is a news release if you can’t track the results? Hyperlinks in news releases are extremely important as they lead readers to your website to find additional information about your organization, product or service directly from your news release. Tracking this inbound traffic is a great way to see if your website content is aligning with your news content, ensuring you are meeting your business goals. While Business Wire’s NewsTrak reports tell you how many times a tracked link is clicked, you can get much more useful information if you append your hyperlinks with a URL builder (sometimes called a UTM link). Provided by your analytics program, URL builders or UTM links are lines of text you add to the end of a URL that allow the program to track the inbound traffic activity you are generating. URL builders allow you to connect the dots between your reader and your website, tracking the impact of your communications program directly on your business goals. When should you use a URL builder? Don’t limit your data gathering to just your news releases. Create extensions for blog posts, social updates, advertising and other marketing collateral to keep your program’s activities separated. You can create new URL builders for every release and identify traffic by platform (one builder for all news releases vs. blog posts) or topic (one builder for all earnings vs. products). Email marketing services like Pardot allow you to track actions within distributed emails as well as landing pages, providing even more data you can use to tweak or update your program. If your company has a team that oversees analytics, email them and ask for a URL builder you can add to the end of any URL. If you manage the analytics yourself, here are the instructions for creating a Google Analytics URL builder. Now you have an expanded URL that contains all the analytics tracking data. What are the limitations to a URL Builder? Not all of your inbound traffic is going to come in to your website from your appended link. 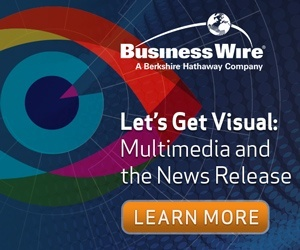 Some websites hosting your Business Wire news release will strip that appended data out. Also, some consumers still enjoy typing a company name into the search bar vs. clicking a link. It is best to view this data as a snapshot of all the traffic you are driving in, not a reflection of all the traffic and activity you have initiated. Is your landing page working? Many times news releases drive traffic to home pages without realizing the home page is not showcasing the information needed to convert the visitor to a customer. How long are visitors staying on your landing page and within your website? Are they leaving your page in under 30 seconds? Or are they going deeper? Make the changes needed to convert your inbound traffic. Who are you reaching and activating? Are you reaching new audiences with your news releases, or are you decreasing the consideration time it takes for someone to buy your product? Where is your audience? Are you activating the right markets? Are they on their smartphones or on a desktop? What actions are they taking? Are your news release readers downloading your promoted content? Are they subscribing to your marketing channels? Which news release topics are driving the most inbound activity? Few departments generate as many discussions as your PR team. Capitalize on these discussions and the traffic they generate by tracking the activities your news has on your website. With URL builders, you can see if you are driving in the right traffic and if your audience is taking the actions you want. This will provide you the hard data needed to increase the ROI of future marketing efforts such as landing page revisions, keyword research needs and more. Click here to learn more about Google Analytics’ URL builder or email us today to set up a meeting to discuss this further.